Autodesk have really upped their game with regards to getting out more bang for your buck with their software. With the additional software that has been made available (Nastran in-cad and Inventor HSM) we are getting to a stage where not only are we getting maximum software for our money but also very useful software. What Autodesk have also done is increase the frequency of updates that arrive at our door. Previously when an update was released, it would be a major one (2014,2015,2016) but from 2017 they have released it like in the days of old. R1, R2 etc. With those releases come your update patches for any bugs that might still be present. Inventor 2018 has been no different for the frequency of an R1 release. It has been less than six months and Autodesk have kept their promise to get more to you quickly and once again it is with the help of the many users on the ideastation that this has taken place. With the 2018.1 release I was pleasantly surprised with the addition that they made. SolidEdge support. I have always wondered why are you able to import or AnyCAD every other major CAD file format but not SolidEdge? Yet again an ideastation submission which tells us that Autodesk are listening. They are also making some inroads to the Model Based Definitions (MBD) that has been available in other CAD packages but not Inventor. 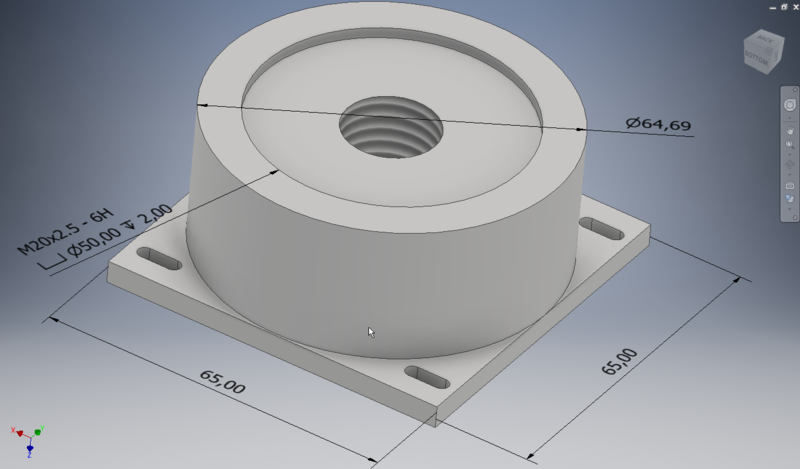 Inventor 2018 saw MBD being incorporated into the part space but not the assembly level space. Autodesk quickly remedied this with the release of 2018.1.